The Temecula Valley is Southern California’s Wine Country. Over 30 wineries populate the region’s rolling hills and sprawling valleys producing a variety of wines, including award-winning and artisan Syrah, Cabernet Sauvignon, Zinfandel, Chardonnay, and Pinot Noir. 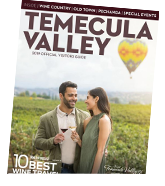 Visitors can tour wine country on their own, tasting and sipping at their leisure utilizing our Temecula Winery Map or charter a guided tour of the wineries for the ultimate relaxing splurge. Shuttle and limousine transportation options can get your group to and from the region’s diverse wineries with ease. 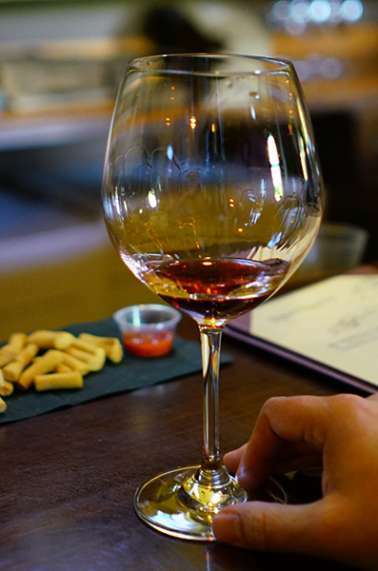 Raise your glass and let’s sip the bounty of the Temecula Valley Wine Country region. Your favorite wines are made right here in Southern California. The climate in Southern California and Temecula Valley is just perfect for most varietals. Look at our Winery Map and take a tour of this beloved region. Most wineries offer tasting rooms and property tours that are available and open to the public, however, some require reservations. Please check each winery for specific information.From Callaway Vineyard & Winery to the boutique Briar Rose Winery and unforgettable Falkner Winery. Enjoy! Exclusive weekday wine tasting savings!